SSC has announced Constable (GD) in CAPFs, NIA, SSF and Riflemen (GD) in Assam Rifles Examination, 2018 (written examination) Result Date. Total 30,41.284 Candidates appeared (58.26%) in Exam. 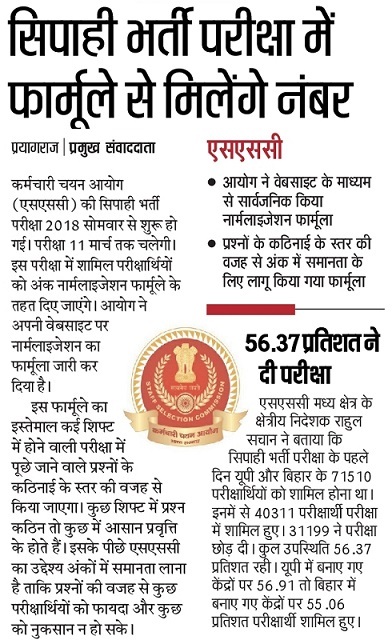 SSC GD Online Exam Result will announce in May, 2019. 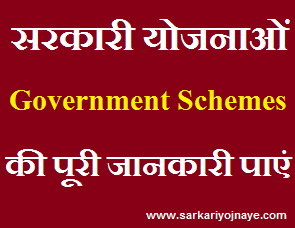 Check SSC Constable GD Result Date Notice from link given below…. F. No. 3/2/2017–P&P-I. The Staff Selection Commission conducted an open examination for recruitment to the posts of Constable (General Duty) in Border Security Force (BSF), Central Industrial Security Force (CISF), Central Reserve Police Force (CRPF), Indo Tibetan Border Police (ITBP), Sashastra Seema Bal (SSB), National Investigation Agency (NIA) and Secretariat Security Force (SSF) and Rifleman (General Duty) in Assam Rifles as per the Recruitment Scheme formulated by the Ministry of Home Affairs (MHA) and as per the Memorandum of Understanding signed between Ministry of Home Affairs and the Staff Selection Commission. As Per Selection process, Online Test conducted First. SSC Constable GD Online Exam conduct from 11 February, 2019 to 11 March, 2019. SSC will upload Constable GD 2018 Written Exam Answer Key on its Official Website. The candidates may take a print out of their respective Question Paper (s) along with Answer Keys. This facility will be available for the candidates for a period of one week. About SSC Constable GD Online Exam 2019 : There were Objective Multiple Choice Type Questions in the Online Exam. Questions was from Non Technical Sections. The examination would comprise 100 questions carrying 100 marks for two hours duration. The questions in all the components will be of Matriculation level. Total Time Duration for Exam 120 Minutes (02 Hours). There will be negative marking of 0.25 marks for each wrong answer in Part-I&II. Search Link for Answer Key Challenge of Constables (GD) in Central Armed Police Forces (CAPFs), NIA & SSF and Rifleman (GD) in Assam Rifles (AR) Examination, 2018 – Uploading of Tentative Answer Keys. Follow that Pdf Link. Take Important Dates for Raise Objection from this pdf. Link for Viewing Answer Key & Challenge System is given in Answer Key Notification. After Entering your User ID & Password, you can check SSC Constable GD Answer Key 2019. Take Print out of it. Answer Key Challenge : Candidates can submit representations, if any, from dates mention in notification through on-line method only on payment of Rs. 100/- per answer. Representation received after the due date will not be entertained under any circumstances. Candidates are required to have a quick & regular watch on SSC Official Website for Constable GD Online Exam Answer Key 2019. We will also provide you latest updates regarding Answer Key & Expected Cut Off Marks. Press CTRL+D to Bookmark this Page. SSC Constable GD Aspirants can ask about any query related to Exam. You can leave a Message as your Query. You can also send us Email related to your Query.